I want to start by thanking the Jewett Center for Community Partnerships for encouraging students to get politically involved over the Fall Break. With the support of the Student Political Engagement Grant, I was able to travel to a part of my home state, Maine, that I don’t usually get the chance to visit and interact with. 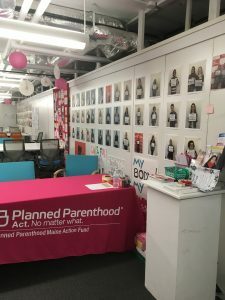 I spent the weekend working with the Planned Parenthood Maine Action team on numerous voter outreach projects up at the University of Maine at Orono, and reconnecting with the Planned Parenthood volunteer crew in Portland, Maine. 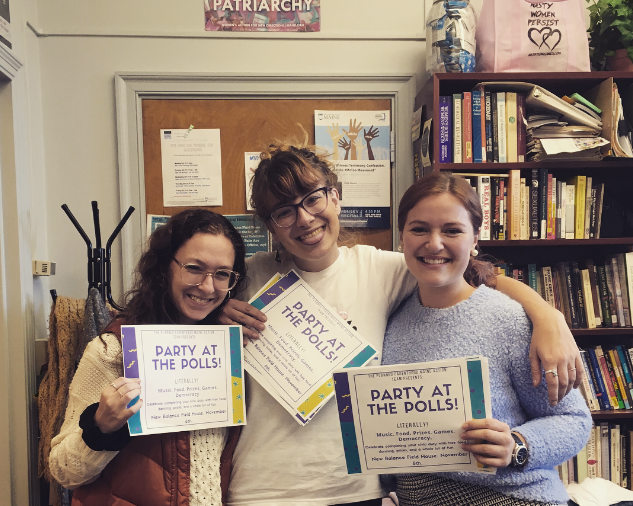 On Friday October 19th, I met the Orono team at the campus’ Women’s resource center, where I got updated on their goals for getting students to the polls on Election day. 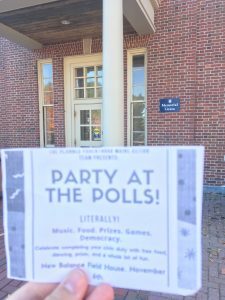 In order to encourage students to vote and to celebrate fulfilling our civic duty, the organization is hosting a “Party at the Polls”. They are going to have live music, games, fire throwing performers, and free food donated by local restaurants. 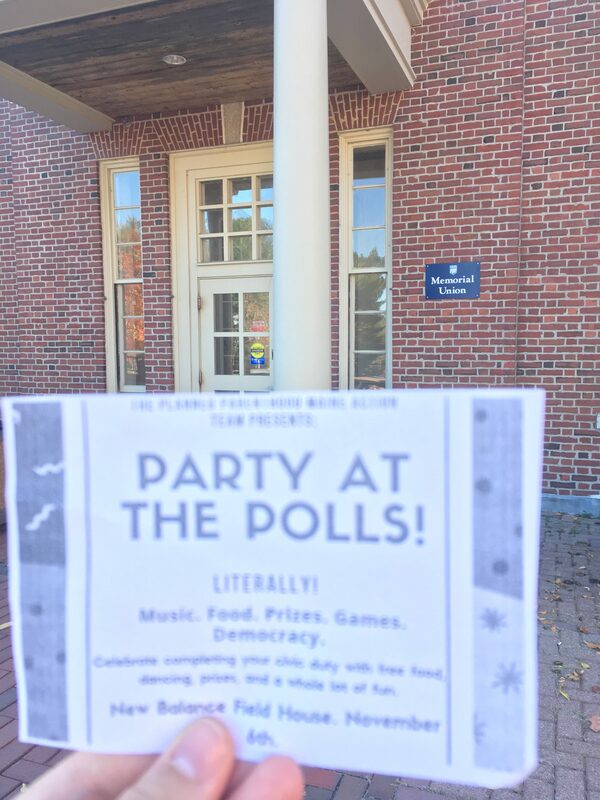 I spent over two hours approaching students in the student center and cafeteria to spread awareness about the party, the ability to become a registered voter the same day you vote in Maine, and to solidify general voting plans. house right on campus. Many students live in neighboring towns of Orono and I helped them find their polling place which always feels really gratifying. The Republican candidate for the upcoming election is Shawn Moody, an auto-repair business owner, who seems to be a “LePage Jr.”; claiming schools in Maine are overfunded, working to reform welfare in Maine (such as enacting random drug testing for recipients), and implementing armed resource officers in Maine schools. Democratic and current Maine Attorney General, Janet Mills, is quite frankly not much better as a candidate. Though she stands with Planned Parenthood, is supportive of reproductive healthcare, and is in favor off the implementation of healthcare in general, Janet Mills is dangerous for Black, Brown, and Indigenous communities. She has served as Attorney General in Maine since 2009 and has always found police officers to be justified in using gun violence, even in fatal incidents. In Maine, there have been 101 cases of police shootings since 1990 and all have been deemed justified by the Attorney General’s Office. (2012 Portland Press Herald report) A specific example being Chance David Baker, a 22-year-old black male who was shot back in February 2017. He was a lovely member of the Portland community, and was suffering from mental illness when he was murdered. He was walking around a store plaza holding a BB gun (where as in Maine a permit is not needed to purchase or open carry a BB gun) when Sgt. Nicholas Goodman, an experienced officer trained in de-escalation, shot and killed Chance after being on site for a mere 2 and a half minutes. “Being mentally ill and Black in public is not a crime, nor is it a justification for murder”, but Janet Mills deemed otherwise. Another example of Mills’ violence is her involvement in a lawsuit regarding tribal water rights in Washington State. Penobscot and Passamaquoddy tribe leaders and more than twenty progressive groups in Maine have criticized Mills for joining the lawsuit, as they have been actively fighting for water quality standards in the Penobscot River during an ongoing legal battle in Maine. (2018 Maine Public report). Since 2012, the State of Maine has been trying to prove the Penobscot Nation doesn’t have sovereignty of the river in the case Penobscot vs. Mills. The river serves as sustenance and spiritual practice for the Penobscot tribe, so Mills is working against Maine’s Indigenous peoples. These two examples demonstrate Mills’ failure to defend people of color, and proves that though she may do less damage than Moody, she will only limit this harm for white people. As I canvassed folks at their doors, I was open about this information and my hesitation to vote for her, but quickly shifted the focus to Question 1 on the ballot; a referendum that works to professionalize in home care in Maine, ensuring that care providers receive better wages and benefits, as well as increasing accessibility to these service for Maine seniors, veterans, and folks with disabilities through a state funded program. I exposed the “No on 1” campaign as being funded by the Nursing homes who benefit financially from the current system in Maine, explaining how they’ve spread propaganda about the referendum for their own wealthy, special interests. 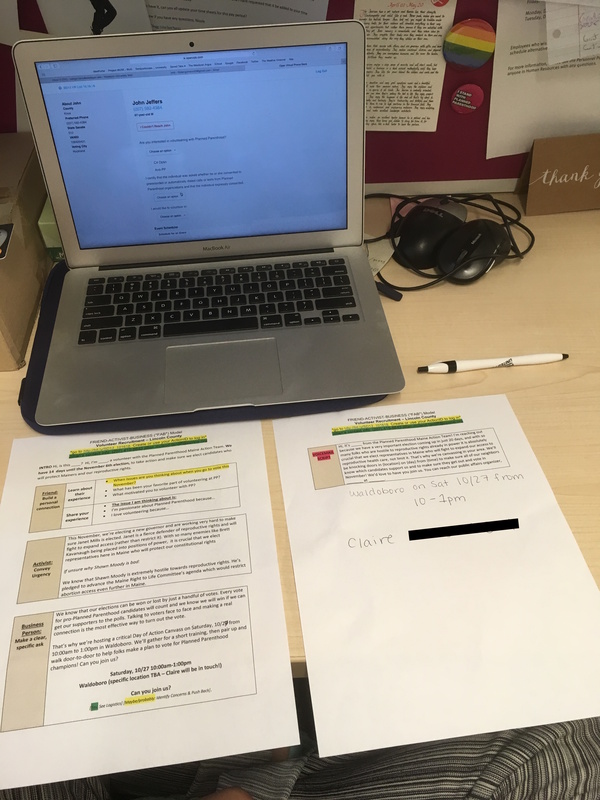 I tried to provide damage control by bringing around the actual referendum literature to show people. 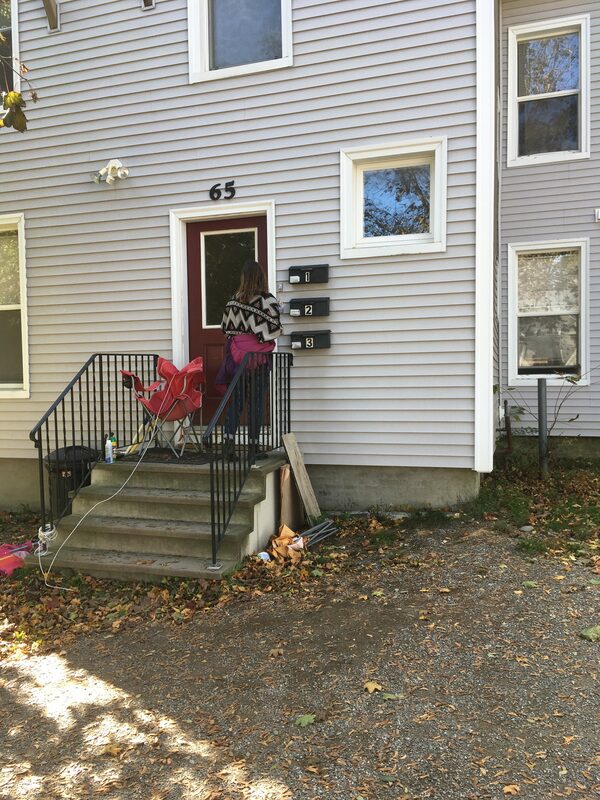 While canvassing I knew Janet Mills’ was unsafe, but I continued to hand out her campaign literature at the doors I knocked. At the time, I was swept up in the “lesser of two evils” rhetoric as well as my dedication to protecting Planned Parenthood and Medicaid Expansion. 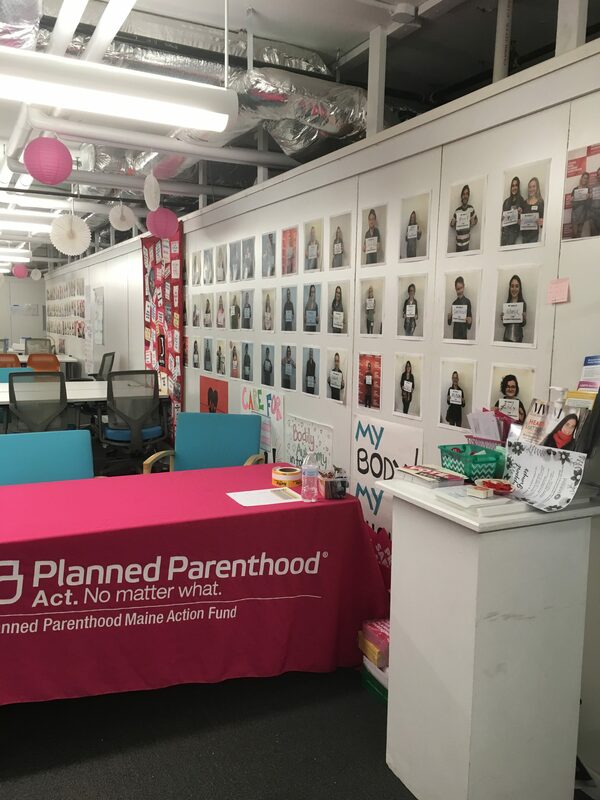 On Monday night I joined Planned Parenthood back in Portland, Maine to phone bank and recruit volunteers for upcoming canvassing events leading up to the election. I then switched over to voter outreach via Relay, an app that allows you to directly text Maine voters. 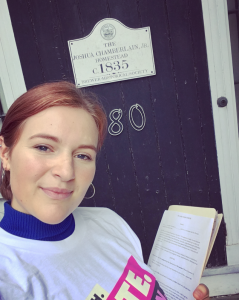 Again, I was talking to folks about Janet Mills as being a “champion for healthcare” and “a supporter of Planned Parenthood”. for Janet Mills will only put a bandaid on the problem. If Janet Mills is elected, white women will feel more safe and will remain complacent, rather than working to unpack our racism. 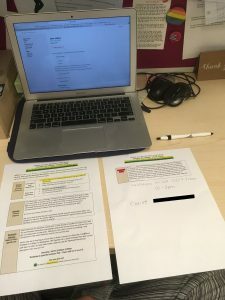 I’m working to do this myself. Everyday we must face the uncomfortability of defying a system that was not structured to serve everyone. While it is a privilege to be able to vote, I cannot remain comfortable to participating in a system that ignores injustice against Black, Brown, and Indigenous communities. People who are or have been incarcerated, don’t have documentation, or have been targeted by the many voter suppression laws being enacted nationwide will not benefit by any of the potential Governors. I’ve decided that I will protest a vote for Governor, leaving that section of the ballot blank, while voting for the other ballot initiatives and representatives. This commitment to protest does not end at the ballot box, as I hope to continue to engage in conversation with people, especially white people. I hope that I may better myself and others through taking these “hard” conversation head-on. unlearning complacent behavior, to giving up a vote to secure my own safety, until our country’s system is equitable and just for all.